Treatments that mitigate the long-term impacts of musculoskeletal conditions and return persons to full and active lives are needed. 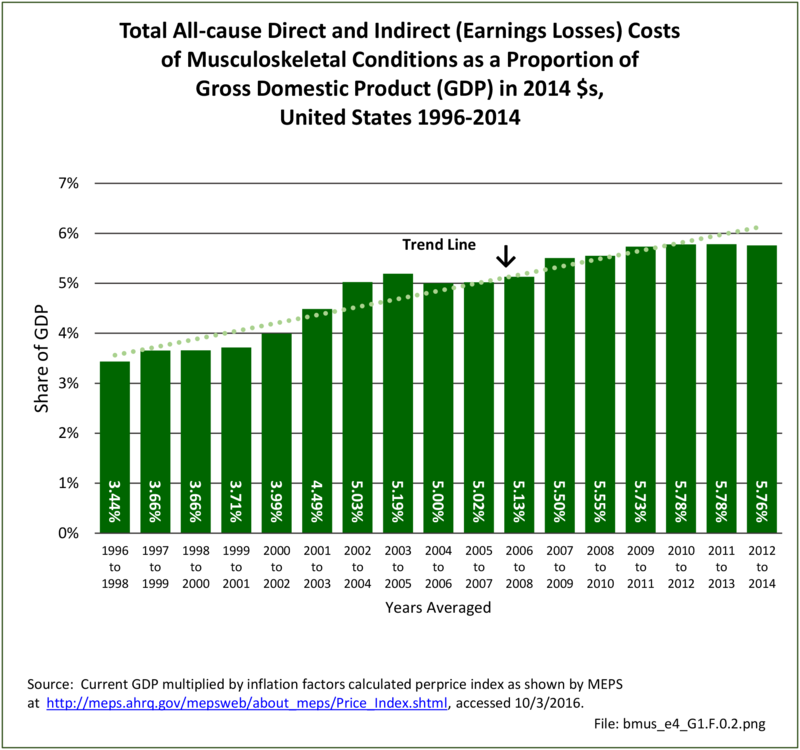 The increasing prevalence of musculoskeletal conditions, along with a growing and aging population, has resulted in more than a 44% increase in total aggregate direct cost to treat persons with a musculoskeletal condition over the past decade (2002-2004 to 2012-2014), in constant 2014 dollars. 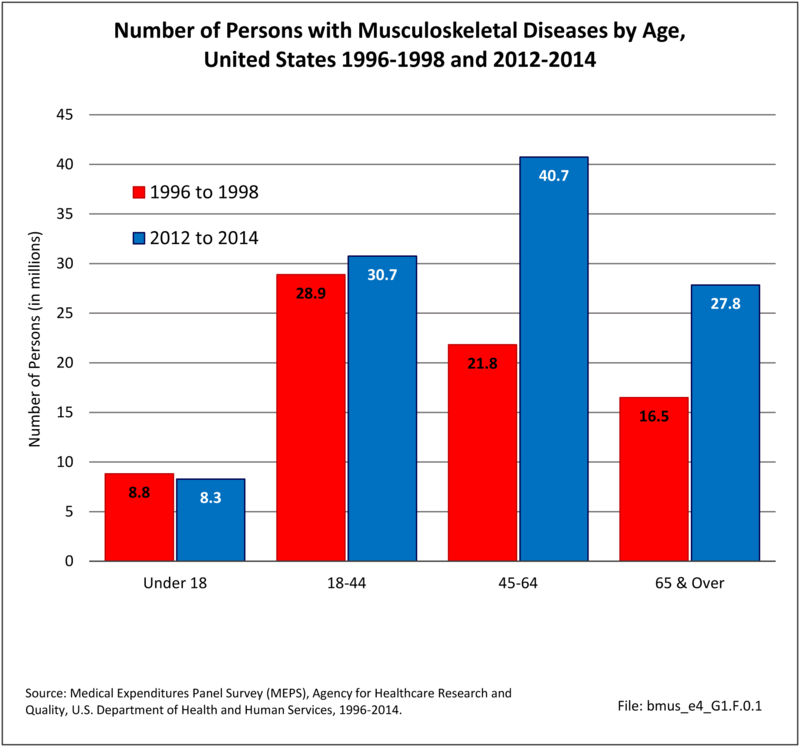 For the years between 2012 and 2014, the annual average direct cost in 2014 dollars for musculoskeletal health care—both as a direct result of a musculoskeletal disease and for patients with a musculoskeletal disease in addition to other health issues—is estimated to be $980.1 billion, the equivalent of 5.76% of the national gross domestic product (GDP). Indirect costs measure disease impact in terms of lost wages due to disability or death. Indirect costs, like medical care costs, can be estimated and calculated in total for all the medical conditions an individual has, and as the increment attributable solely to musculoskeletal conditions.